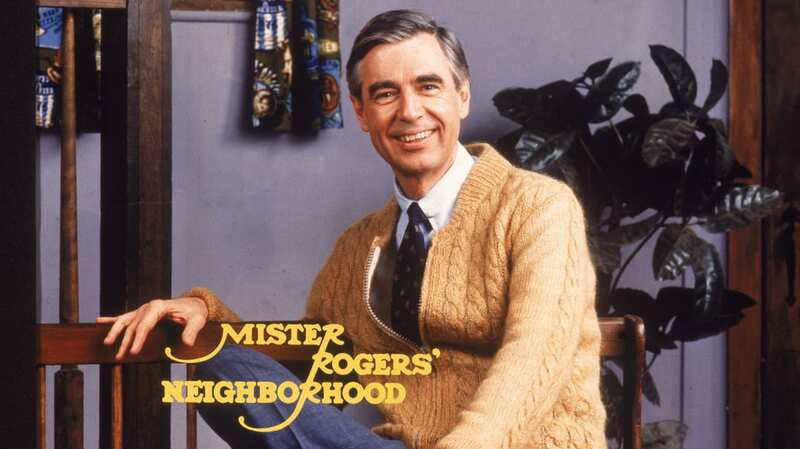 As you may have heard, Twitch is currently streaming every episode of Mister Rogers’ Neighborhood marathon style—just short of 900 half-hour Neighborhood visits! 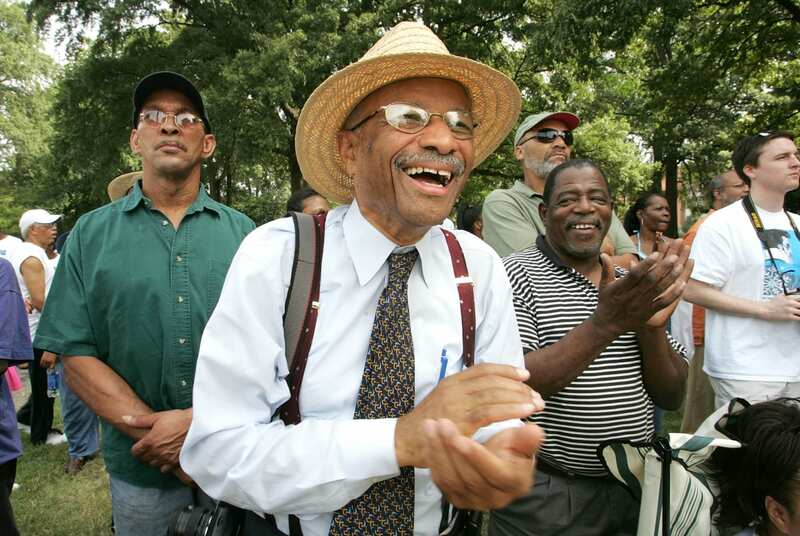 By the afternoon of Sunday, May 28 the marathon will have reached what is commonly referred to as the “modern episodes”—those from 1979 and beyond. 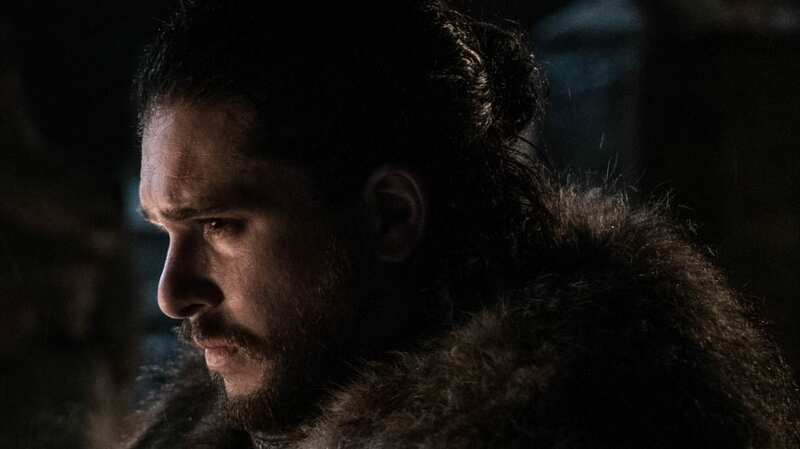 If you’re looking to satisfy your Neighborhood craving but aren’t sure what episodes to view, here are 20 things to watch for through the remainder of the 18-day stream. Scattered throughout 22 years of episodes you’ll find multiple musical performances, including Windstorm in Bubbleland (Episode 1475), Spoon Mountain (Episode 1505), A Grandad For Daniel (Episode 1535), A Star For Kitty (Episode 1565), and Josephine the Short-Neck Giraffe (episodes 1608, 1609, and 1610). Rumors suggest that an idea was considered where Chuck Aber would take over for Fred Rogers once Fred decided to retire from the Neighborhood. 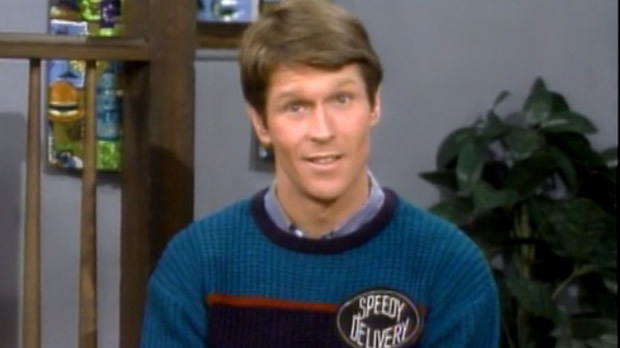 Viewers get a small glimpse of what this may have been like in Episode 1578, when Mister Rogers steps away for a few moments and Mr. Aber addresses the viewing audience. 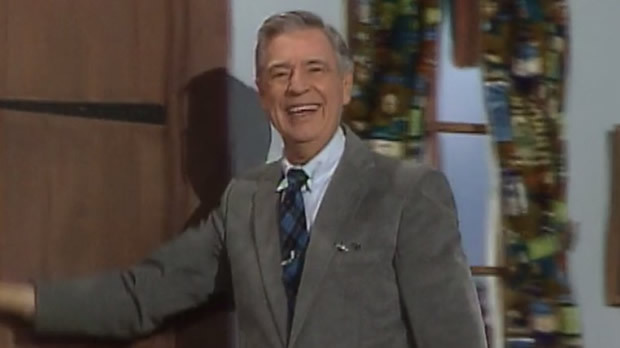 Mister Rogers' Neighborhood never tiptoed around taboo subjects and difficult topics, as is evident in the week of episodes starting with Episode 1476 which focused on the subject of divorce. A master of make-believe and supporter of imaginative play, Fred Rogers never wanted viewers to think that his television house was his real home. In order to be fully transparent, he would occasionally share various behind-the-scenes aspects of his Neighborhood such as a look at the controls for the Neighborhood Trolley (Episode 1681) and views of the set in Episodes 1530 and 1698. 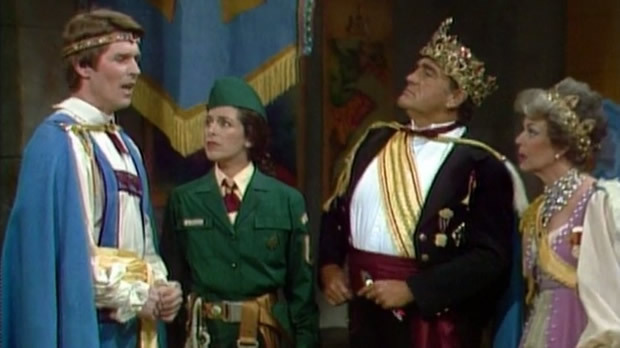 Throughout the modern run of Mister Rogers' Neighborhood, several performers passed away and were recognized during the credits of episodes to follow. Episode 1686 was dedicated to Don Brockett, Episode 1715 to pianist Johnny Costa, and Episode 1740 to Bob Trow. 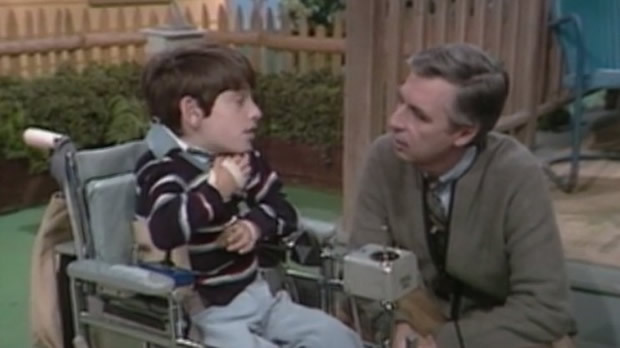 One of the most emotional moments in the history of Mister Rogers' Neighborhood occurred on Episode 1478 when Jeff Erlanger—a boy in an electric wheelchair—visits and sings It's You I Like with Mister Rogers. In 1988, on Episode 1587, Mister Rogers reflects on a recent visit to Moscow where he visited Russian children's television host Tatiana Vedeneeva. 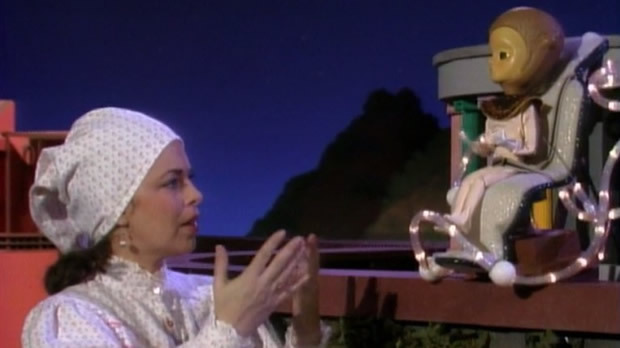 Ms. Vedeneeva visits Mister Rogers in his own Neighborhood on Episode 1589. Probably the most famous of Mister Rogers's factory visits, the film about how crayons are made can be seen on Episode 1481. 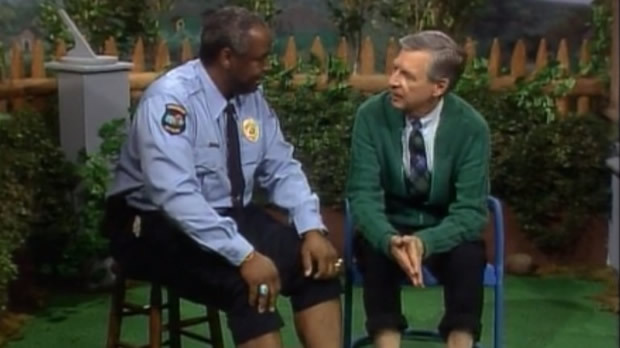 In 1969, Officer Clemmons visited Mister Rogers on a hot day and together they soaked their feet in a pool of cold water. 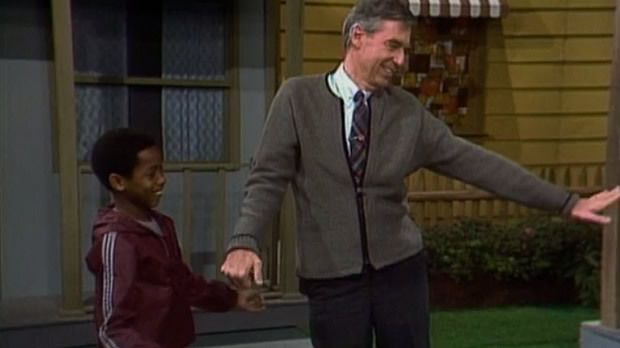 In 1993, Francois Clemmons makes his final appearance in the Neighborhood in Episode 1663, when he joins Mister Rogers again for a soak in the pool. 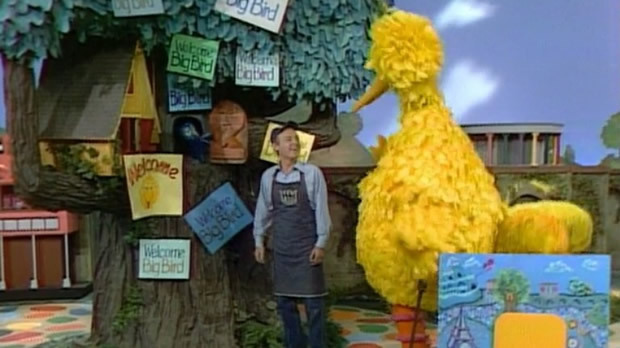 Mister Rogers once passed through Sesame Street, and on Episode 1483, Sesame Street's Big Bird returned the favor by visiting the Neighborhood of Make-Believe. 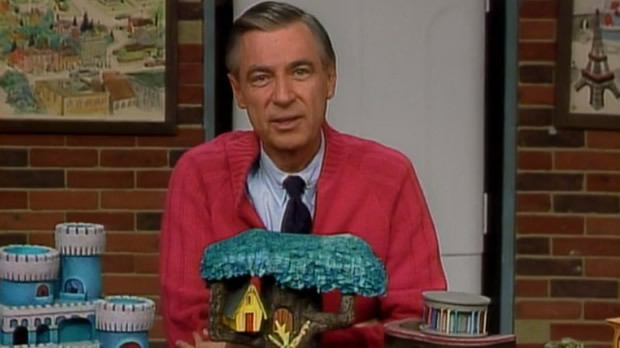 Viewers became quite familiar with the usual areas of Mister Rogers' Neighborhood such as the television house, Brockett's Bakery, Negri's Music Shop, and the Neighborhood of Make-Believe; however, you may be interested to see some of the lesser known places shown only once or twice in the Neighborhood's nearly 900 episodes. 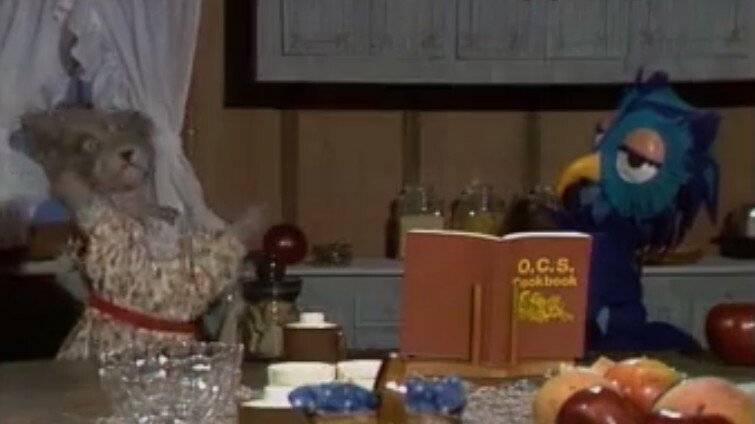 The modern episodes include looks at the inside of X the Owl's tree (Episode 1508), the inside of Cornflake S. Pecially's factory (Episode 1528) and Mister Rogers's computer room (Episode 1746). 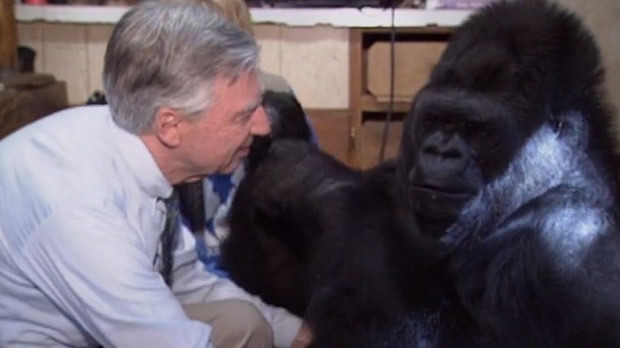 On Episode 1727, Mister Rogers spends time with a gorilla named Koko and makes a very obvious yet unexpected connection with the primate. It's a well known fact that Fred Rogers was an ordained Presbyterian minister, and occasionally, his religious influence would find its way into Neighborhood episodes. For example, in Episode 1477, Mister Rogers visits a place where pretzels are made and is told that the three holes in the pretzel represent the Holy Trinity. 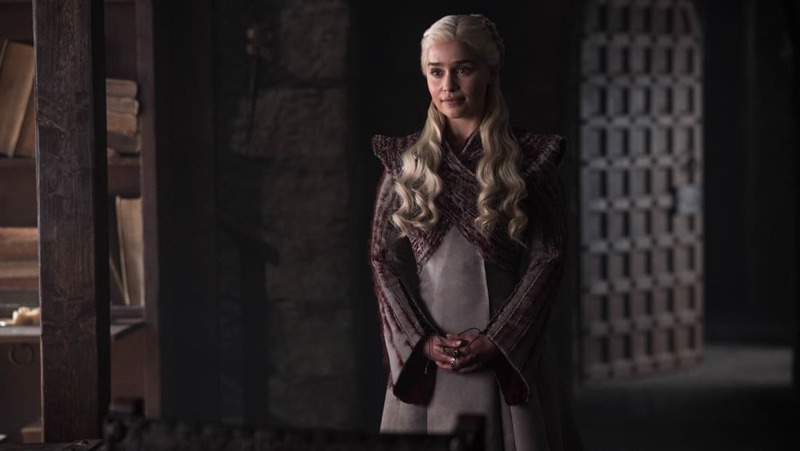 Furthermore, in Episode 1538, Queen Sara addresses the goat which has been stealing vegetables: "You need never steal again. Simply ask and you will receive." 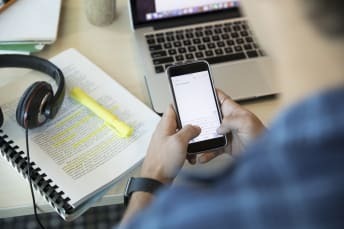 For anyone with a biblical background, this phrase is quite familiar—it can be found in the Gospel of Matthew: "Ask, and you will receive. Seek, and you will find. 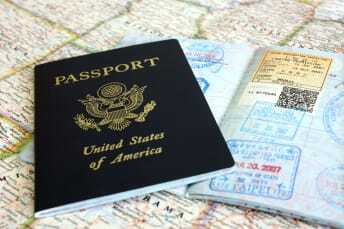 Knock, and the door will be opened for you." You've seen the memes, but have you seen the episode? Mister Rogers breakdances in Episode 1543. On a few occasions, portions of episodes were reshot and the original versions were replaced. In the original broadcast of Episode 1589, Mister Rogers uses the term "Soviet Union" when telling viewers of Tatiana Vedeneeva's upcoming visit. 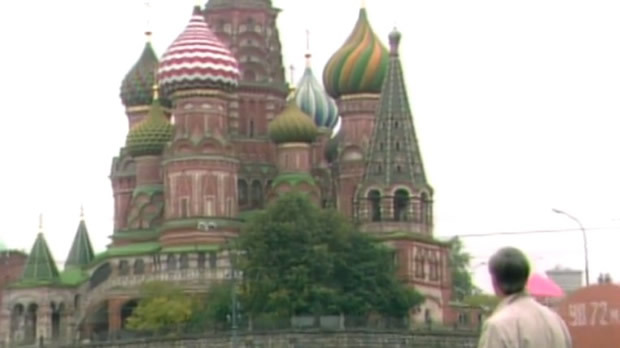 After the dissolution of the Soviet Union in 1991, new audio of Mister Rogers saying "Russia" was dubbed in. 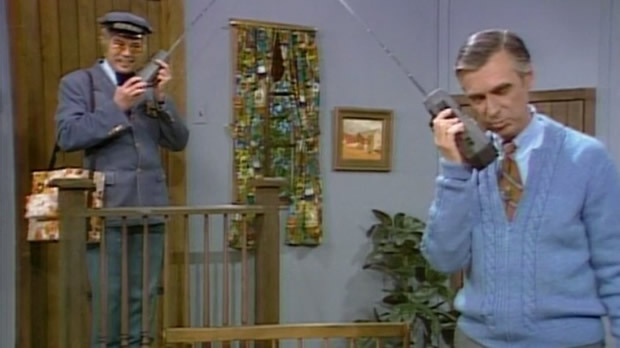 The original version of Episode 1696 includes Mr. McFeely delivering a laser pointer to Mister Rogers. When parents expressed concerns over the use of a device that could potentially cause eye damage, the scene was replaced with one where Mr. McFeely delivers a toy ball. Every kid who ever watched Mister Rogers' Neighborhood wanted a set of Neighborhood of Make-Believe models of their own. Mister Rogers takes a close look at these models on Episode 1602. King Friday XIII ruled over the Neighborhood of Make-Believe for as long as any of us can remember. Prior to Friday's reign was that of his father, King Thursday. King Friday shares a picture of his father on Episode 1531. On a children's show that featured a talking purple panda and a tiger who lives in a clock, the most bizarre character shows up in Episodes 1589 and 1590. Yo Yo LaBelle is an extra-terrestrial visitor to Make-Believe who only speaks by using the words "me" and "thee." 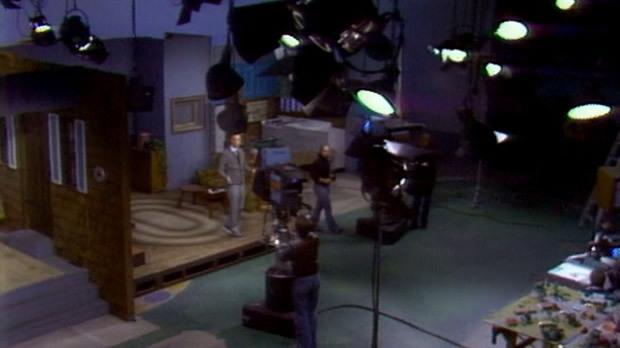 After nearly 900 Neighborhood episodes spanning portions of five decades, Mister Rogers leaves his television house for the last time on Episode 1765. As the Mister Rogers' Neighborhood marathon continues, feel free to visit The Neighborhood Archive for notes and details on these episodes and more!